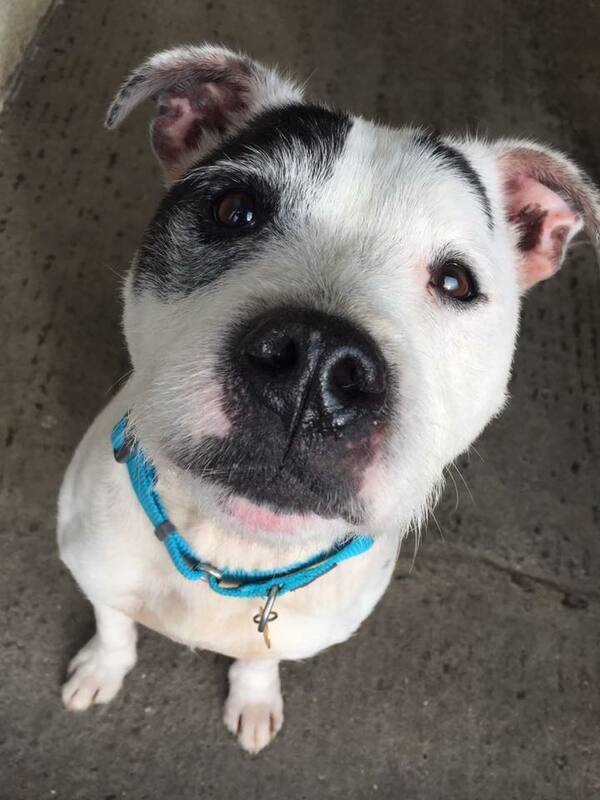 Archie is an absolutely gorgeous small white Staffy with a wiry haired scruffy face, so he must be crossed with a little bit of terrier! 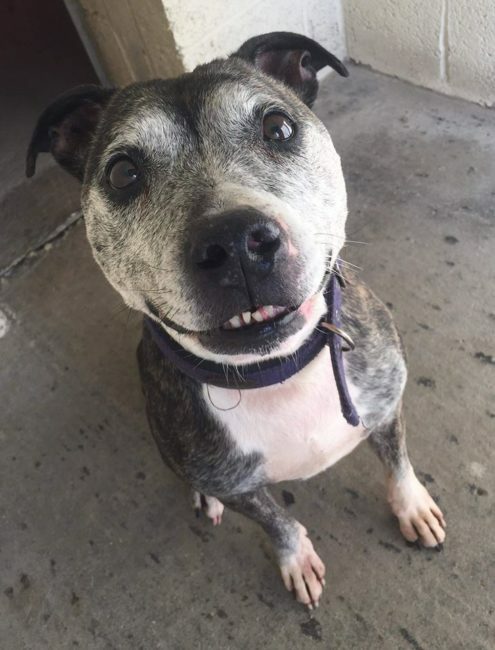 Archie is 6 yrs young and is full of beans, is very fit and active and loves to play with his toys. He is a very friendly chap but quite independent and likes to do his own thing so isn’t instantly wanting fusses and cuddles from people he hasn’t met. Once he’s bonded with someone he will be VERY loyal and as he is quite stressed in his kennel and sometimes howls, we think he won’t want to be left alone for very long in his new home. Archie has been very good around dogs since being in our care and even ignored a dog having a go at him, so he could live with a friendly female dog. He would be fine to be rehomed with children aged 10+. This little lad is just adorable and really needs to find a home soon as he is very upset in kennels.